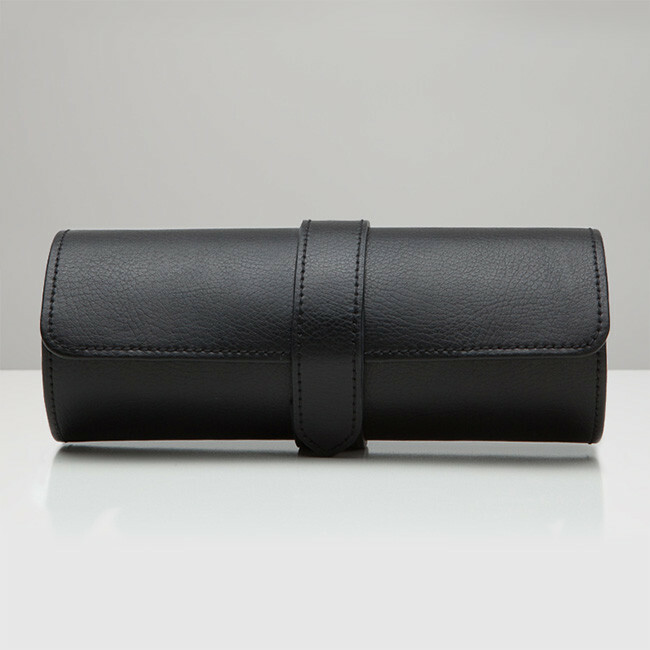 Wolf watch accessories, like this black pebbled leather triple watch roll from the designer's Blake collection, ensure your ability to travel in style! 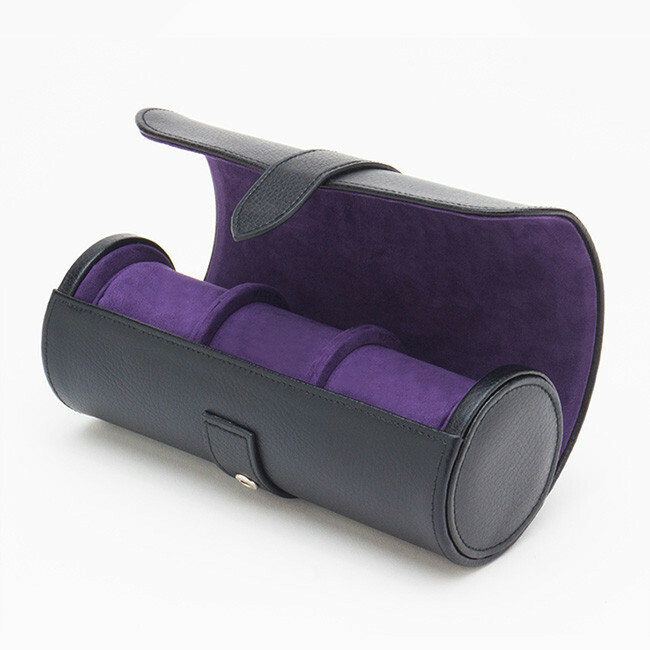 The protective storage item, suitable for up to three watches, features a purple ultrasuede lining and snap closure. 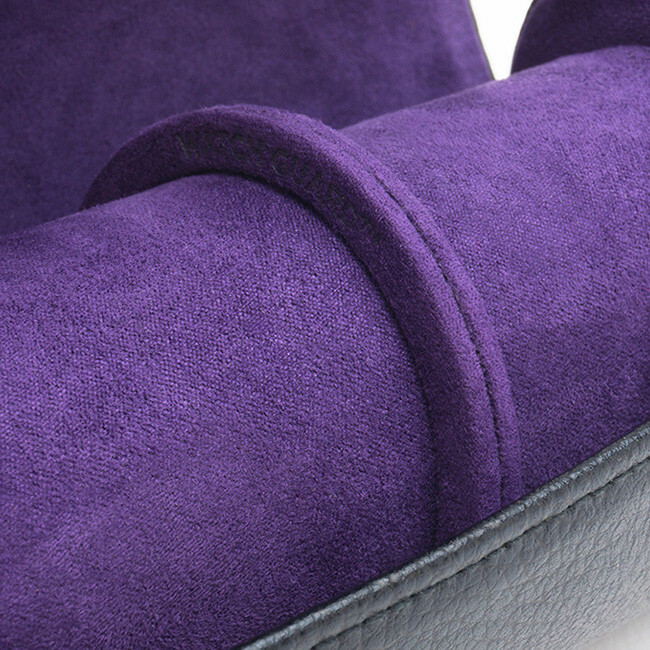 There's a finely designed, finely crafted Wolf product for everyone!